Mourning miniatures became popular expressions of private grief during the late eighteenth century and typically depicted a female mourner draped over a classical urn beneath a weeping willow. 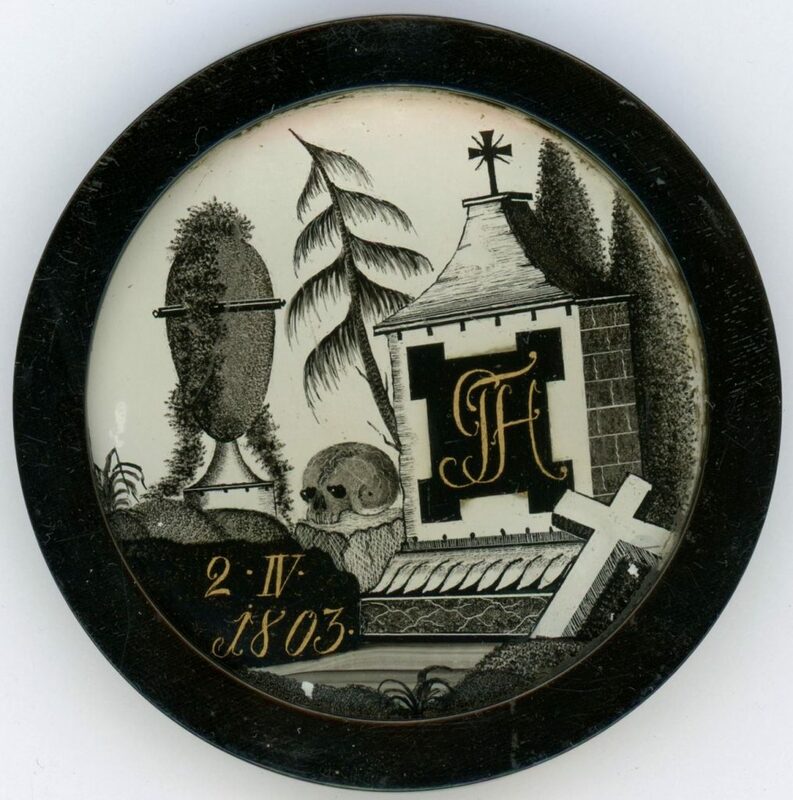 Possibly Continental in origin, this unusual memorial miniature features several symbols of death including a human skull, a cross and a sepulchral urn by a tombstone with a pair of yew trees behind. The tombstone displays the initials TH with the date of death being 2 April 1803. Reverse painted on slightly convex glass, much of the detailing has been achieved by scratching out with a fine needle. Housed in what is possibly a later ebonised frame, there are two spots of paint loss at 4 and 7 o’clock and a light scratch to the glass over the urn.